Tio Ellinas secured yet more Formula Renault 3.5 Series silverware during round 15 of the season at the Le Mans Bugatti Circuit in France on Sunday, 27th September, with a fighting third place finish in the second race of the weekend. Having qualified on pole position for Strakka Racing, the Cypriot led away at the start and maintained his place at the front into the mandatory pit-stops after a brief Safety Car period. Although missing out on the chance to challenge for victory after all of the pit visits played out, third place still marked a very strong result and consolidated a top six championship placing. 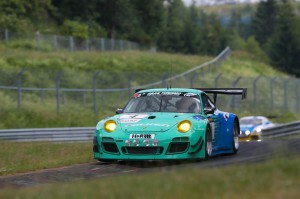 Arriving at Le Mans off the back of the team’s first ever one-two result last time out at the Nurburgring in Germany, hopes were high of continued success during the penultimate event of 2015. Ellinas produced an exceptional performance in round 15 qualifying to take pole position by almost half a second, his best lap a time of 1m20.648 seconds (186.8 km/h), while team-mate Gustav Malja ended the session 13th quickest. Making an excellent start to the race, Ellinas led away through the first sequence of turns and although only a few tenths of a second ahead of Tom Dillmann over the course of the first five laps, the Strakka driver remained unflustered. Due to an incident further back in the order, the Safety Car was deployed at the beginning of lap six which corresponded with the scheduled opening of the mandatory pit-stop window. After the re-start on the eighth tour, Ellinas led away again and then pitted for his stop at the end of the lap. Malja meanwhile, who held 14th position prior to the Safety Car, made his stop a lap later than his team-mate from eighth place. When the order settled around mid-distance, albeit with the lead three cars still to pit, Ellinas held fourth position with Malja in the top 10. Hopes of a bid for victory didn’t work out, though, with Ellinas having to settle for a nonetheless strong third after Egor Orudzhev and Matthieu Vaxiviere emerged ahead following their pit visits. 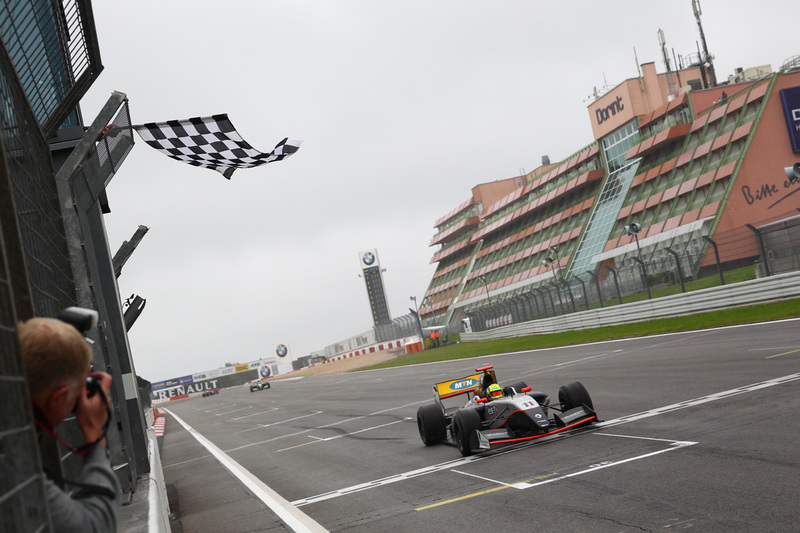 Under huge pressure from Dean Stoneman throughout the second half of the race, Ellinas kept his rival at bay to claim the third podium of his maiden Formula Renault 3.5 campaign. 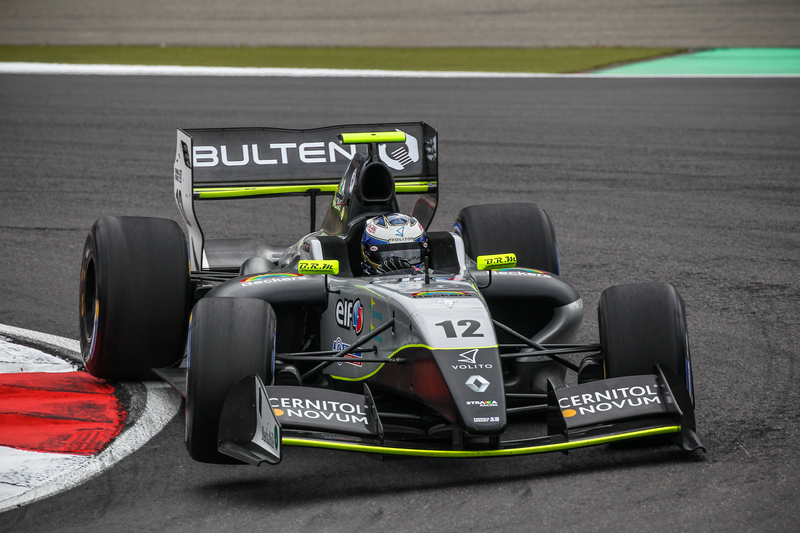 Malja, meanwhile, moved up into ninth position on lap 16 and remained there to the finish sandwiched between newly crowned Formula Renault 3.5 Series Champion Oliver Rowland and Nyck De Vries. In round 14 on Saturday, 26th September, Ellinas started fifth on the grid while Malja lined-up in 10th position, just 0.4 seconds separating the team-mates in race one qualifying. Unfortunately, at the start of Saturday’s contest, Ellinas didn’t get away from the line cleanly and slipped back to the tail of the top 10 with Malja also edged back to 12th position. Quickly moving back into 11th place on the first lap, Malja closed up behind Ellinas initially before the gap opened back up and with 10 laps complete the pair were split by roughly 2.5 seconds. As the race progressed, positions remained unchanged although Malja did begin to come under some pressure from Nicholas Latifi as the race approached mid-distance. Following a pit visit and retirement for Latifi, Andre Negrao became the new threat but Malja comfortably saw off his rival to hold 11th position to the chequered flag. Ellinas finished the encounter in a clear 10th place but due to a time penalty for Matthieu Vaxiviere, the Cypriot was elevated into ninth spot. While Ellinas maintains sixth in the Formula Renault 3.5 Series standings with 113 points, Malja ended the Le Mans weekend ninth in the title race on 69 points. 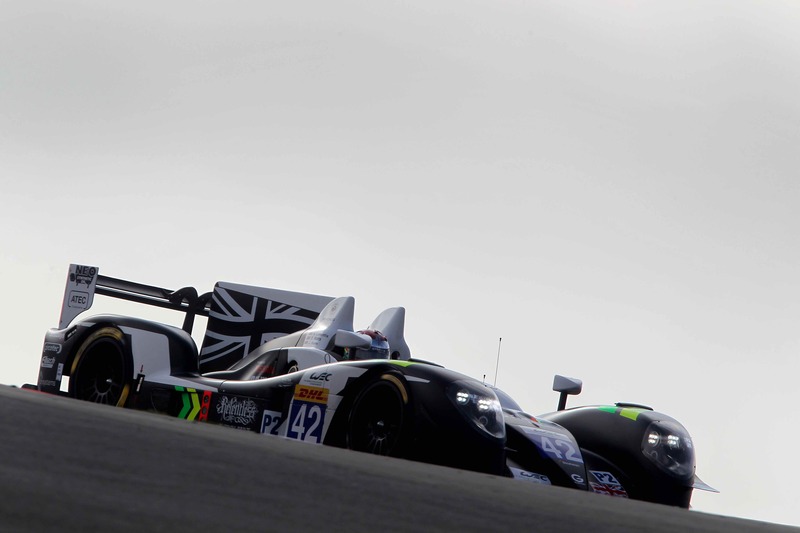 In the team championship, Strakka Racing is fourth with 182 points. The final two races of the 2015 Formula Renault 3.5 Series will take place at Jerez in Spain over the weekend 17th/18th October. 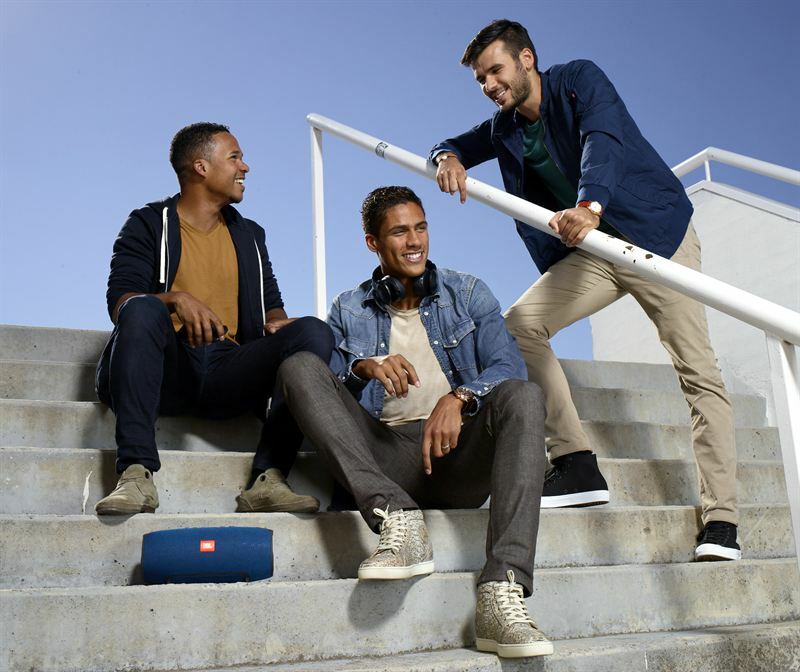 Beginning in September 2015, Varane will participate in global marketing and brand awareness programs for JBL’s portfolio of audio products across consumer lifestyle, professional audio and automotive audio. 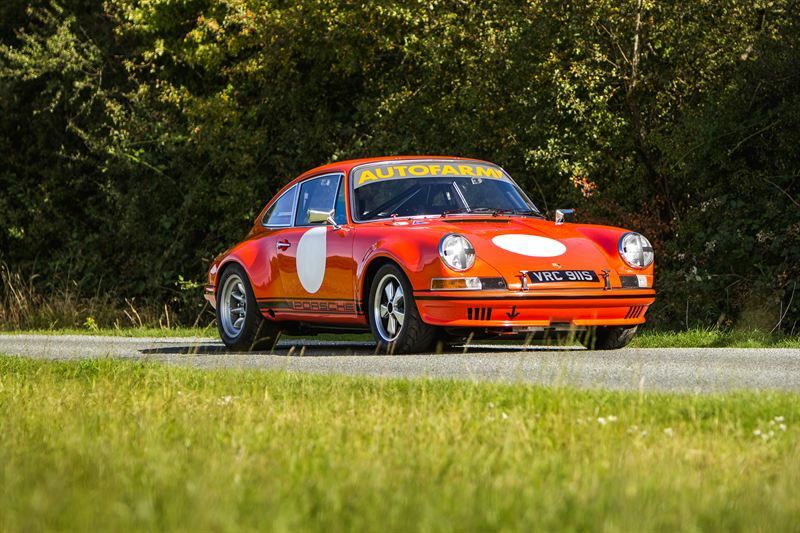 BICESTER – Having competed for close to 50 years, revered Porsche specialist Josh Sadler is making the 5,400 mile trip to California to race at the Rennsport Reunion, ticking off a key item from his bucket list. Sadler 73, will race the factory prototype Porsche 911 he has owned as ‘a box of bits’ for over thirty years, before finally assembling and restoring the car in 2013.
International Motor Show (IAA), Frankfurt, September 16, 2015 – HARMAN International Industries, Incorporated (NYSE:HAR), the premier connected technologies company for automotive, consumer and enterprise markets, brings its engineering excellence to the new Ferrari 488 GTB Spider, which features a state-of-the-art JBL professional premium sound system. 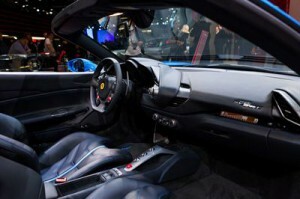 Ferrari unveiled this new two-seat sports car at the IAA 2015 and together with HARMAN highlights the thrilling combination of speed and sound. To enrich the superb sound of the JBL PRO system, the Ferrari sports cars will also feature QuantumLogic Surround, which gives audio tracks a controlled sound quality by introducing revolutionary new audio algorithms to extract signal streams and impulse responses from the original recording. Individual voices and instruments, as well as embedded reverberant spatial information, are identified and then re-authored into a precise multi-channel soundstage. 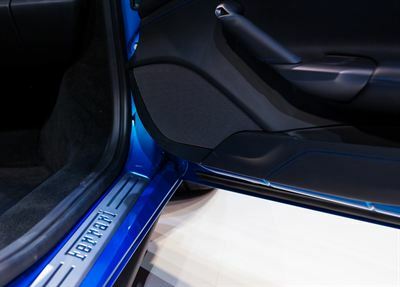 And to guarantee a best-possible fidelity, it has also Auravox Tuning on board for a best-in-class listening experience and maximum aural immersion. After debuting its Gibson 015S chassis at the Nürburgring, Strakka Racing heads to the USA for the start of the fly-away stretch of the WEC season, where it will tackle Circuit of the Americas for the first time. 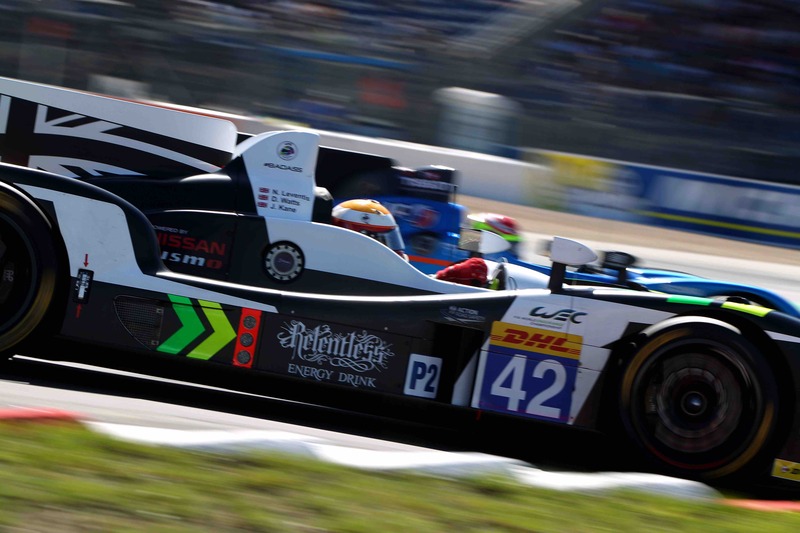 Strakka Racing travels to Austin, Texas next week, hoping to convert the Gibson’s head-turning pace into a win against its LMP2 rivals. 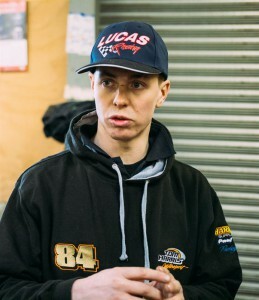 Drivers Jonny Kane, Danny Watts and Nick Leventis will have to get acclimatised to the circuit quickly though, as the trio have no prior experience at the 3.4-mile circuit. “The simulator work we have done back at base is key for all three of us really,” says Kane. “We knew going into this season that the three of us hadn’t driven at Circuit Of The Americas (COTA) before, so being able to spend extensive time working on learning the track before the event has helped us get ready. Strakka Racing founder Nick Leventis has spent time testing at the circuit before the weekend as extra preparation for the event this weekend, hoping to gain an advantage over the five other COTA rookies in the LMP2 class. Since opening back in 2012, Circuit of the Americas has held rounds of Moto GP, Formula One, the Tudor United Sports Car Championship and X Games. Popular with drivers for its tricky undulations, COTA makes for some spectacular racing on its mixture of medium and low-speed corners. On-track action for the WEC teams runs from the 17th to 19th of September with the race starting 17:00 local time on the Saturday in Austin, Texas. 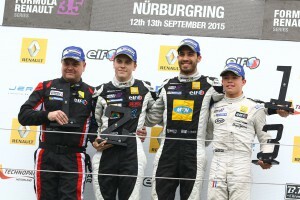 Silverstone-based Strakka Racing celebrated a memorable one-two finish, its first ever in the Formula Renault 3.5 Series, during an incident-packed and highly dramatic 13th round of the season at the Nürburgring in Germany this afternoon.With light rain ahead of the start meaning a wet track was declared by officials, the majority of lead contenders still opted for slick tyres and the rain only became a factor during the incredibly tense final laps. 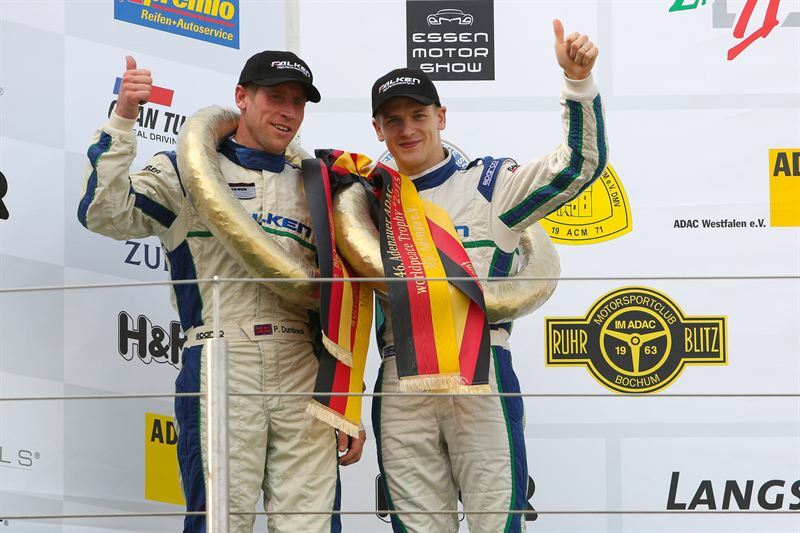 Starting the race fifth and sixth on slicks, drivers Tio Ellinas and Gustav Malja both had very high hopes of challenging for the podium. Nobody, though, could have predicted the superb one-two result – especially when Ellinas sustained damage to his front wing while battling for third place at the end of the first lap.Having to work hard to compensate for the lack of downforce, the Cypriot had to try and drive around the issue until his mandatory tyre change at the end of lap five when he pitted from third place, having been as high as second. Malja pitted from fifth position a lap later and the real turning point of the race for Strakka came shortly after when the Safety Car appeared following a spin for Aurelien Panis. As the highest placed cars of those to have pitted in eighth and ninth, with Malja moving ahead of Ellinas through the stops, when racing resumed on lap 11 both Strakka drivers made excellent re-starts and instantly challenged Tom Dillmann.Through a nail-biting few corners Ellinas and Malja swarmed all over their rival and, after swiftly seeing off Dillmann, the pair continued their own private battle with Ellinas edging ahead.Running in fifth and sixth into lap 16, the team-mates had a waiting game until the lead quartet took their pit stops and that started to happen soon after.With only race leader Pietro Fantin still to pit with five laps to go, Ellinas and Malja held second and third and at the end of lap 18 Fantin dived into the pitlane. Assuming first and second, Ellinas and Malja looked set for a superb dream result for Strakka but the conclusion wasn’t as straightforward as anticipated when rain began to fall with a couple of laps to run.Initially holding a three second advantage over Malja, as the track became increasingly slippery and with grip at a premium the gap between the pair reduced to nothing.Nose-to-tail into the final tour, lap 22, a wicked twitch for Ellinas out of the second turn looked to have relegated him to second but he managed to regain the lead when Malja had some wheel spin – Ellinas taking his second victory just eight days after his first. Round 12 on Saturday, 12th September, didn’t go quite to plan for Strakka when Ellinas wasn’t able to convert his second place grid start into a podium result after being put wide on the first lap.Initially launching away well from the grid, Ellinas was edged back to fourth into the first corner and subsequently elbowed out wide, dropping him to sixth where he remained to the conclusion. Malja made a great getaway at the beginning of the race to climb into the top eight, from 10th on the grid, and just like his team-mate he ran in the same position throughout. 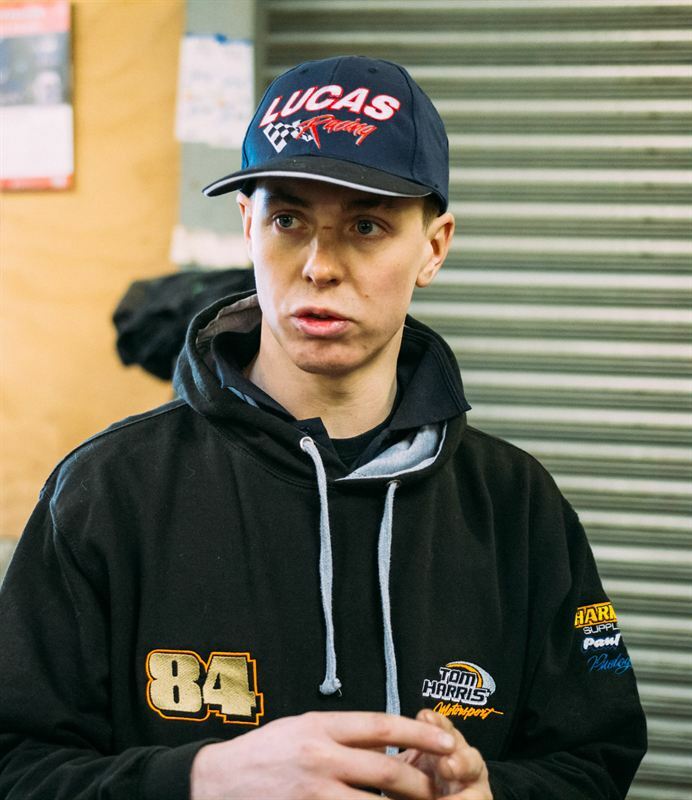 In terms of the championship battle, Ellinas’ success has hoisted him into the top six, just 10 points shy of fourth position, with Malja into eighth place. 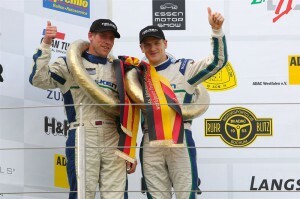 In the team standings, Strakka Racing departs Germany in fourth position. France is the next destination on the Formula Renault 3.5 Series calendar with rounds 14 and 15 of the season taking place at the Le Mans Bugatti Circuit over the weekend 26th/27th September. 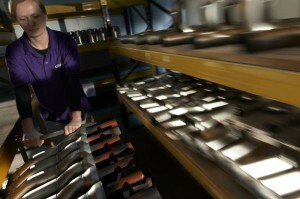 Hethel-based design engineer Bob Stevens has reached the finalist stage of the British Engineering Excellence Awards. 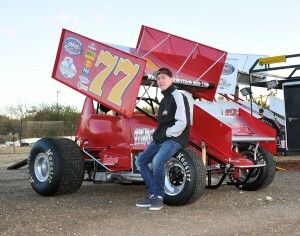 Stevens, a designer at leading simulator manufacturer Ansible Motion, located at the Hethel Engineering Centre, was nominated for the coveted British Design Engineer of the Year award. The award, now in its sixth year, recognises engineers capable of creating innovative designs within strict commercial limits. 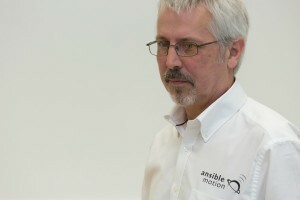 Stevens was responsible the concept design, R&D and product development of Ansible Motion’s driver-in-the-loop simulators that are increasingly relied upon by car makers and motorsport teams around the world. The company recently opened its R&D Centre at its base at the Hethel Engineering Centre. The award also seeks to recognise engineers who work to promote engineering in the broader community. Since 2009, Stevens has mentored groups of Year 9 (13-14 year old) and Year 12 (16-17 year old) schoolchildren under the Engineering Development Trust (EDT) programme as well as hosting multiple work experience placements for schoolchildren looking to learn about design and manufacturing. The winners will be announced at a gala lunch at the Hurlingham Club, London, on 29th October. Aesthetic and durability characteristics see ceramic finish selected over paint for two new special edition European market motorcycles. Plasma-spray specialist Zircotec has secured a further two key orders for its Endurance Range ceramic coating developed for motorcycles. Applied using Zircotec’s proprietary process, the improved durability and aesthetic attributes have led to two orders of over 2,000 units, highlighting the increases in capacity the firm has achieved in the past 18 months. Investment of over £250,000 in the last 18 months has enabled the Oxfordshire firm to expand capacity and handle the higher-volume demanded by OEMs, with batches of 500 parts per week regularly being processed for one motorcycle OEM. 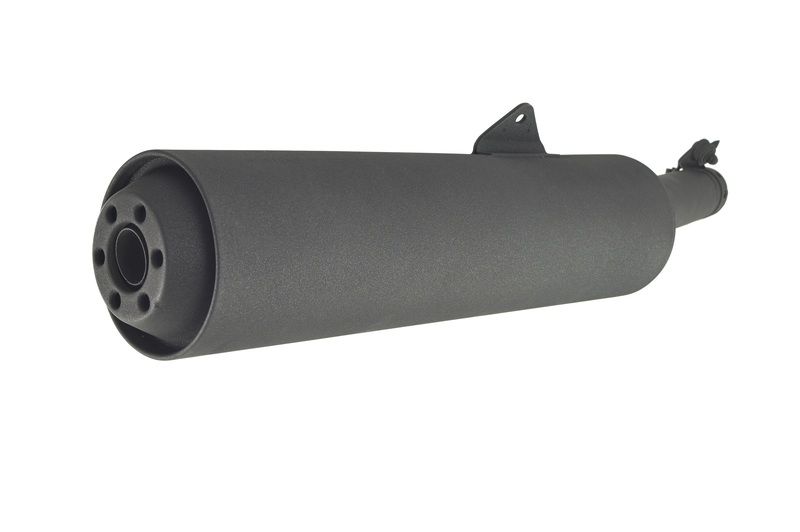 “Our flexible process means we can now handle OEM quantities, making it ideal for motorcycle manufacturers looking to offer differentiation, perhaps for a special edition or limited run,” adds Whyman.